THE CONFERENCE ON CHRISTIANITY AND LITERATURE is an interdisciplinary society dedicated to exploring the relationships between Christianity and literature. Organized formally in 1956, CCL is dedicated to both scholarly excellence and collegial exchange and includes hundreds of members from a variety of academic institutions and religious traditions from the United States, Canada, and more than a dozen other countries. 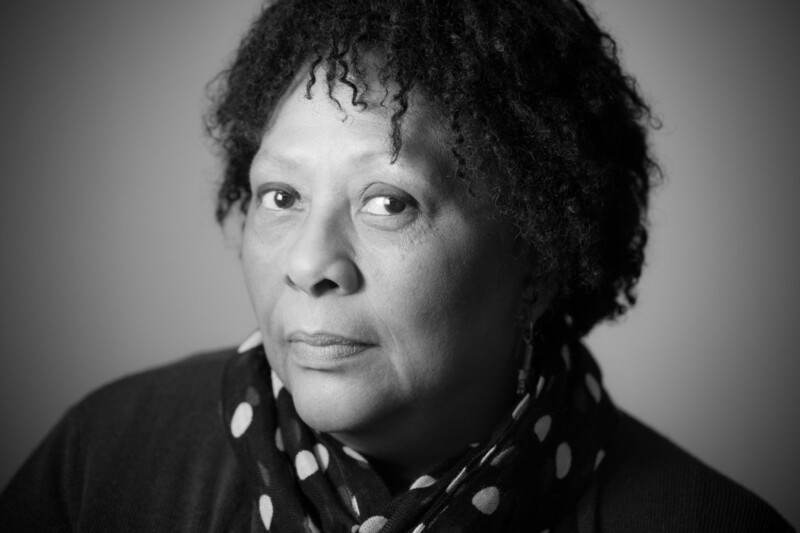 Through more than four decades of writing, poet Marilyn Nelson, the Conference on Christianity and Literature’s 2018 Lifetime Achievement Award recipient, has limned the shapes of life and faith. This work includes explorations of her own life in personal lyric and the childhood verse-memoir How I Discovered Poetry, but it has also, perhaps even more typically, involved writing other lives. Carver: A Life in Verse examines the inseparability of scientific vocation, racialized experience, and Christian faithfulness in the extraordinary character of George Washington Carver. The Homeplace tells a family history populated by figures all the way back to Nelson’s great-great-great grandmother. The sonnet sequence A Wreath for Emmett Till memorializes the “mutilated boy martyr” while condemning “the blasphemies pronounced to justify / the profane, obscene theft of human lives.” In these and other books, Nelson has undertaken a concerted project of poetic life writing that is at once faith-filled and searching. Nelson’s project raises questions of genre and purpose: what difference does poetry make to biography and autobiography? What risks haunt versified hagiography? What possibilities arise in the interstices of Christian struggle, self-narration, and aesthetic form? How do writers negotiate private and public purposes in life writing, including disciplines of contemplation and prophetic calls for justice? Nelson’s project also raises questions of history and reception. Life writing has been a Christian endeavor from at least Augustine’s Confessions and Athanasius’s biography of Anthony of the Desert, not to mention the Gospels; how have twentieth-century developments like confessional poetry, the 1990s memoir boom, digital life writing, and the ongoing unfolding of (post)secular contexts complicated contemporary life writing and its relation to the tradition? How do we theorize readers’ and writers’ unflagging interest in both ancient and new life writing texts and their place in Christian practice? 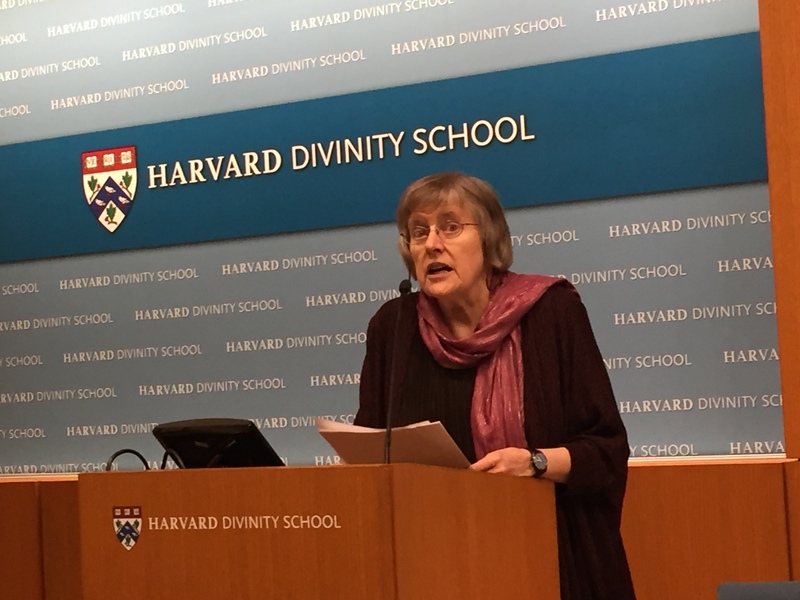 In a ceremony and lecture held at The Harvard Divinity School on March 29, 2019, CCL President Darryl Tippens and former CCL board member Clare Costley King'oo (University of Connecticut) presented its Lifetime Achievement Award to writer Kathleen Norris. CCL also presented the 2018 Book-of-the-Year Award to Micheal O'Siadhail for his book The Five Quintets (Baylor University Press, 2018), hailed by David Lyle Jeffrey as "a 21st century masterpiece" in a review essay that will appear in the journal Christianity & Literature. The great ambition of The Five Quintets would be hard to overstate. Inspired by the challenging ruminations of modernity found in Charles Taylor’s A Secular Age, Mr. O’Siadhail draws into technically astute, dramatic verse what amounts to an extended dialogue among the great and prominent figures of the modern age culminating in a heavenly symposium among the great theologians, anti-theologians, and saints of our era, and concluding with a glorious—yet jazzy—vision of beatitude. 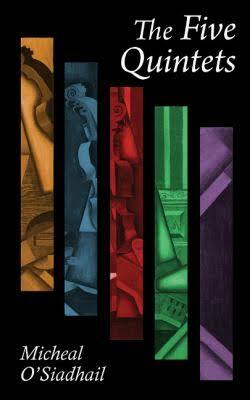 The Five Quintets is a cornucopia of poetic technique, intellectual variety, and spiritual hope. For announcements about upcoming CCL Regional Conferences, please click here. Any member of CCL may submit the name of a person to be considered for the award. All nominations are to be made in writing and submitted to the President no later than November 1. Each nomination should be accompanied by a brief letter of recommendation along with either a copy of the nominee’s cv or an equivalent biographical sketch; the latter documents may be supplied in electronic form or as links to web sites containing the information. The CCL Board of Directors will consider the nominations and conclude the selection process at its annual meeting in early January. For a list of the long line of distinguished recipients of the CCL Lifetime Achievement Award, please click here. For information about CCL Fellowships and Grants, please click here. You can now check out the latest CCL news on Facebook. Click on the Facebook icon below.